The eponymous highlights of Glacier National Park are fast disappearing. Like the long tail of a sleeping dragon, northwestern Montana&apos;s jagged peaks snake their way across several hundred square miles of ancient glacial plains. At first glance, this slice of the Northern Rockies, with its massive flanks carpeted by Douglas fir, spruce and lodgepole pine, looks perfectly healthy. But above the tree line, decades of regional warming has taken its toll on the ecosystem&apos;s glaciers and permanent snowpacks. At summer&apos;s end, even from a distance of 60 miles, the mountainous eastern slope of Glacier National Park resembles a chain of dirty snow cones. "The Little Ice Age ended about 1850," noted Dan Fagre, a U.S. Geological Survey research ecologist at the Northern Rocky Mountain science center in West Glacier, Mont. "We had 150 glaciers here in 1900. We only have 25 left now." A recent paper co-authored by Fagre, appearing in the journal Climatic Change, analyzed more than 100 years of temperature data from western Montana. It concluded that the rise in its temperature extremes and seasonal averages "has been two to three times greater than that of the global average." The authors are still trying to figure out exactly why. The end result, as the paper notes, is that the region has undergone both "a loss of extremely cold days as well as an increase in extremely hot days." But inside the million-acre national park, in late afternoon on the last day of summer, there&apos;s already an autumn-ish nip in the air. The deciduous trees are beginning to turn and the park&apos;s remaining glaciers have finally shed the last of their seasonal snowpacks. 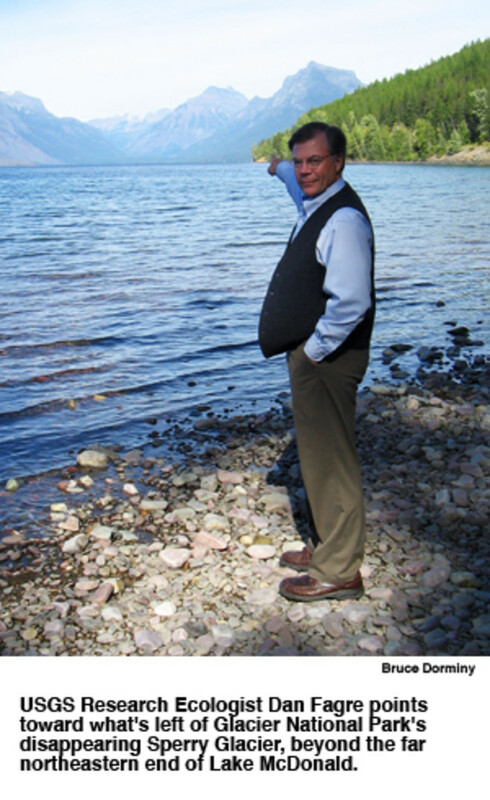 Fagre gestures toward the northeastern end of Lake McDonald and the disappearing Sperry Glacier in the distance. Ice and snow from Sperry used to overlap onto the Lake McDonald side of the ridge, he notes. But the glacier has shrunk to such an extent that its ice is no longer visible from this side of the mountains. The beautiful and placid Lake McDonald, a 10-mile-long finger pointing northeast, was carved during the last major ice age 12,000 years ago at the tail end of what&apos;s termed the Wisconsinan Glaciation. But even in this current epoch of warming, the lake is still frigid to the touch. The glaciers were gone before anyone came here to map them, Fagre said. 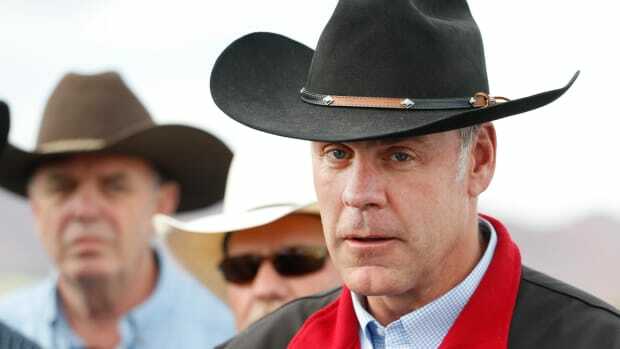 But he said researchers determined there were once 150 glaciers in what is now Glacier Park - based on the massive glacial deposits (or moraines) left in their wake. At Lake McDonald, glaciers bulldozed up to 478 feet of dirt — likely down to the bedrock itself — leaving large moraines on both sides the lake. Until five years ago, both of these moraines were covered by thick forests. That&apos;s when the 2003 Robert Fire, likely caused by unusually hot and dry conditions, destroyed a good portion of one of the existing moraine&apos;s hillsides. It burned hot enough to scorch the soil. Aside from such anomalous fires — in terms of climate and glacial studies — this "Crown of the Continent," as the park is often called, has long been a canary in the coal mine. Fagre says at the height of the ice age, about 100 square kilometers of glacial ice covered this landscape. That figure has now been whittled down to 16. Two decades ago, Fagre and colleagues began their program to monitor as many of the park&apos;s remaining glaciers as logistically possible, trying to take measurements of the glaciers every two to five years. They also study the ecosystem&apos;s responses to climate change. That includes glaciers, streams, trees and forest-fire frequencies and how they are interlinked. But glaciers remain at the core of their research. This year, Fagre and his research program&apos;s six assistants helped him survey six glaciers: Cheney, Swiftcurrent, Stanton, Blackfoot, Grinnell and Sperry. By definition, Fagre says a glacier is a mass of ice at least 25 acres in area and 100 feet thick that moves under the force of gravity. "When glacial ice stops moving, we call it stagnant ice," said Fagre. "But gravity and deformation of ice under pressure cause glaciers to move." Blackfoot, one of the biggest glaciers in the park, recently had a dramatic 23-acre collapse as its ice was cleaved over a large rocky knob; that&apos;s an indication that the glacier is retreating ever more quickly. "Heretofore, it&apos;s been small incremental shrinkage of the glaciers," said Fagre. "Here it&apos;s a collapse and an avalanche of glacial ice debris that cascaded down the mountain some 750 meters." To monitor such glaciers, it&apos;s not unusual for the researchers to risk injury to get to them. Fagre team member Lindsey Bengtson, a Geological Survey biological science technician, said that in late August — after most of the seasonal melt has dissipated — they typically take high-accuracy Global Positioning System measurements from the glaciers&apos; lower margins. This past August, Bengtson and four other colleagues, with two kayaks in tow, made a 5.5-mile trek into upper Grinnell Lake, the melted portion of Grinnell Glacier. "As I kayaked parallel to the upper Grinnell terminus [or the lower extent of the glacier], I collected over 1,000 points of GPS measurements, one every second," she recalled. By overlaying aerial imagery on the glacier&apos;s latest GPS positions, they are then able to determine how far and how fast a glacier is receding. The team is still analyzing data from this most recent trek. Even though there&apos;s no question that the park&apos;s glaciers are in an unprecedented period of contemporary retreat, how does the area&apos;s recent past stack up against the region&apos;s last few hundred years of climate history? Fagre and colleagues reconstructed the climate here for the past 451 years by looking at the historic record and tree rings. It showed very clearly, he says, that the Little Ice Age was a period with no droughts. There was about an 80-year period, he notes, when it must have "just snowed all the time." But what&apos;s different in the current era is that temperatures are also much greater, which makes the ecological effect of current droughts much harder on all plant species. And, as noted earlier, the area&apos;s trees are particularly hard hit. They tend to use up the moisture in the ecosystem by August and September, said Fagre, which means a greater number of trees are becoming even more flammable. Thus, if the warming continues, Fagre expects more fires and bigger insect outbreaks. "We&apos;ll start losing tree diversity," he said Fagre. "We&apos;ll see the alpine tree line go higher and then potentially start losing some alpine animal species," such as mountain goats and Clark&apos;s nutcracker, a songbird. The rest of North America is also dependent on a hydrologically healthy Glacier Park. To the west, the park&apos;s waters run through the Columbia River system and into the Pacific. To the east, its waters contribute to agriculture and irrigation all the way to Canada&apos;s Lake Winnepeg. And to the southeast, its waters drain into the Missouri River system and then into the Mississippi. More locally, the park&apos;s glaciers and snowpacks keep the park&apos;s ecosystem vibrant. "When everything else is dried out," said Fagre, "it&apos;s these glaciers that melt and keep these streams going." The park&apos;s lakes are both cold and nutrient poor, so only a few fish species can handle the frigid, highly oxygenated water. Specifically, the park&apos;s population of bull trout thrive on such cold water, such that they&apos;ve been nicknamed the "polar bear of fish." 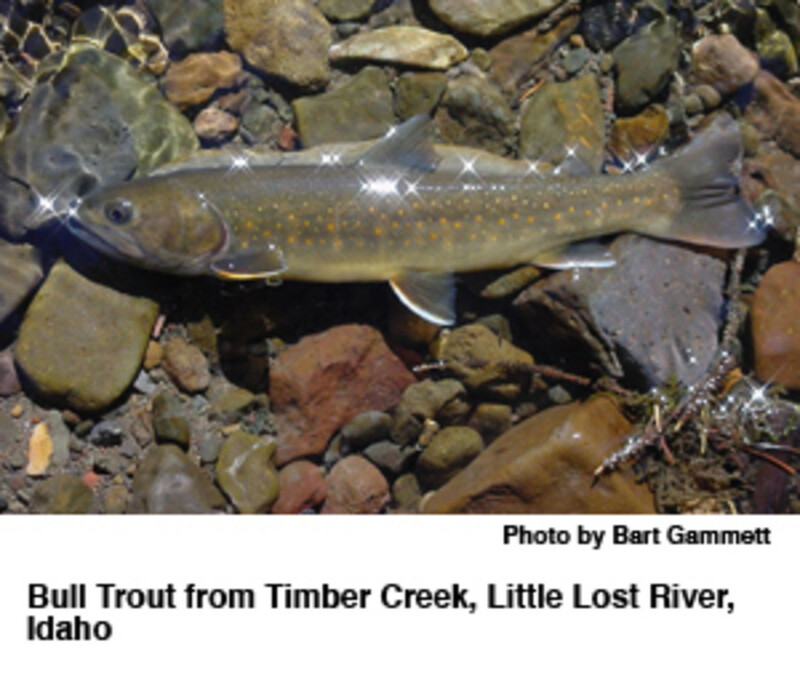 But if these waters warm significantly, the bull trout could be threatened as well. Fagre&apos;s own research doesn&apos;t distinguish between whether the warming is natural or manmade, although he personally believes that humans are causing at least some of it. But he "gets nervous" when people try to attribute the root of all global warming to burning fossil fuels or land-use change. That&apos;s because, as he points out, there&apos;s just so much natural variability in the climate system that still is not completely understood. Next May marks the region&apos;s 100th anniversary as a national park. But without a significant change in the current temperature trend, some estimates are that its glaciers could disappear as early as its 110th birthday. Fagre doesn&apos;t put a date on the remaining glaciers&apos; demise, but does predict that if this present period of drought and warming continues, the park&apos;s glaciers will disappear "very, very soon."